This is a histology slide of the pituitary gland. 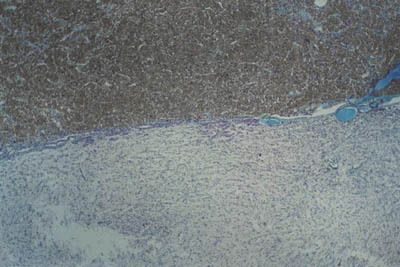 The details of the cells can not be seen at this magnification. The anterior pituitary, pars intermedia, and posterior pituitary are visible.